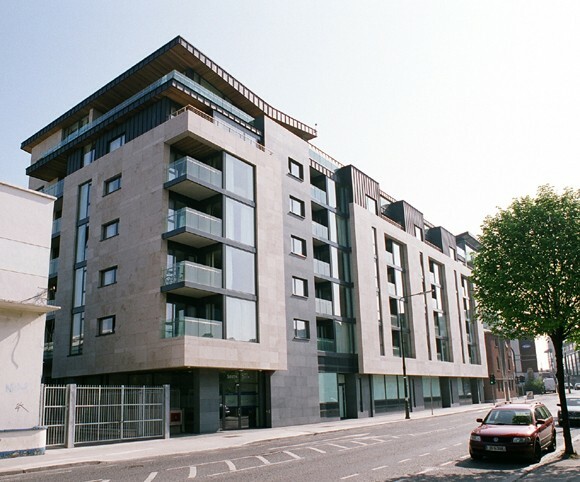 courtyard on a tight urban site within the Dublin Docklands Area. ventilation and exposed concrete floor slabs contribute to the design ethos. 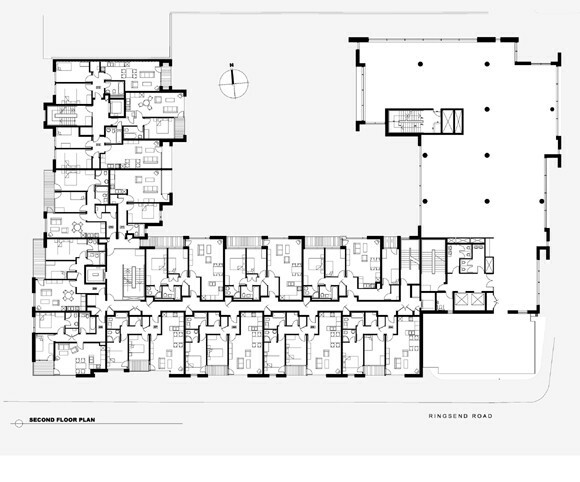 This project continues FKP’s experience within the sphere of urban design. Program: 12,500 sqm of apartments, offices and shops in the Dublin Docklands regeneration area.